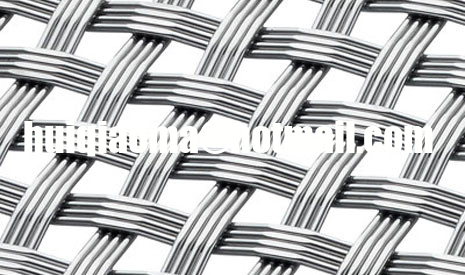 We introduces a new architectural woven wire mesh pattern. A simple over-under pattern using 4 independent wires that share the same crimp pocket. 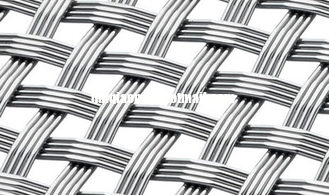 Thin and strong, this new wire mesh creation has unlimited design applications either interior or exterior. At 34 percent open area, this unique weave exhibits an interesting light and shadow pattern making it a good choice for sunscreen applications.